It was anticipated that VertCoin (VTC) will hardfork to the new Lyra2RE algorithm at around 16th this month at block 208301, however we have reached the fork a bit earlier. So if you are mining VertCoin you should switch to the new Lyra2RE GPU miners and to pools that have already switched to the new algorithm. Some people have anticipated that after the fork the price of VTC will increase, but this did not happen as currently VertCoin is quite profitable to mine and sell directly and apparently a lot of people are doing exactly this resulting in exchange rate dropping. This is just the first day after the fork, so we should wait and see how the Lyra2RE fork will affect VTC – will it help the coin or on the contrary. If you are getting ready for the upcoming VertCoin (VTC) fork from Scrypt-N to Lyra2RE algorithm that is planned to happen in about 10 days, then you might want to update your wallet. Since this is a hardfork you will need to upgrade your wallet to the new release 0.9.0.0 and also to be able to continue mining VTC you will have to get the new miners with Lyra2RE support. The good news is that we already have miners for both AMD and Nvidia GPUs available, even though they are early release candidates you cna try them out locally on testnet before the actual fork happens and pools will switch to Lyra2RE mining for VertCoin around 16th this month at block 208301. Below you can find links for the source code of the miners along with official windows binary releases available on GitHub, tpruvot has also added support for Lyra2RE to his ccMiner fork and we are probably going to be seeing more forks with Lyra2RE support getting added soon. VertCoin hasn’t been doing so good lately due to the coin relying on the kind of outdated Scrypt-N algorithm, though profitability wise it wasn’t so bad to mine and sell immediately at times. This however is hopefully going to change later this month or to be more precise around December 16th when a HardFork of the VTC is expected to happen to a new algorithm – Lyra2RE. The fork will happen at block 208301 and you will have to upgrade your wallet before that to continue using it after the fork. 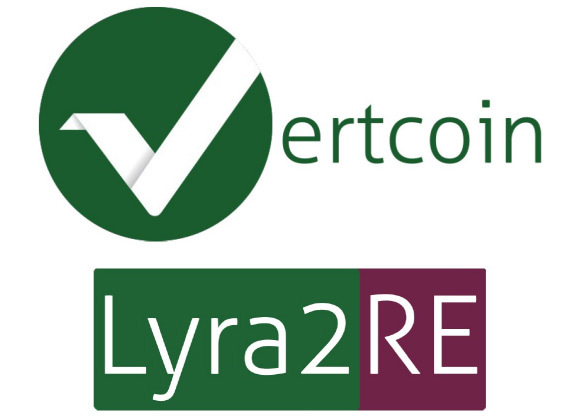 The people behind the development of the VertCoin have published a whitepaper with more information about the Lyra2RE algorithm. Lyra2RE is a chained algorithm consisting of five different hash functions: Keccak, Skein, Groestl, Blake and Lyra2 and working forks of ccMiner and sgminer with support for it should soon be available for GPU miners with both AMD and Nvidia mining rigs. Hopefully this hardfork to a new algorithm will help revive the interest and bring up the price to similar levels it has been at before, hopefully it can successfully follow the footsteps of the FTC fork to NeoScrypt, but we’ll have to wait and see later this month what will actually happen.